HIROSHIMA, Japan, Oct. 24, 2017 - Mazda Motor Corporation unveiled two concept models, the Mazda KAI CONCEPT and the Mazda VISION COUPE at the 45th Tokyo Motor Show today. Organized by the Japan Automobile Manufacturers Association, the show will be open to the public from Oct. 28 through Nov. 5. Mazda has scheduled a press conference for 1:40 p.m. today. 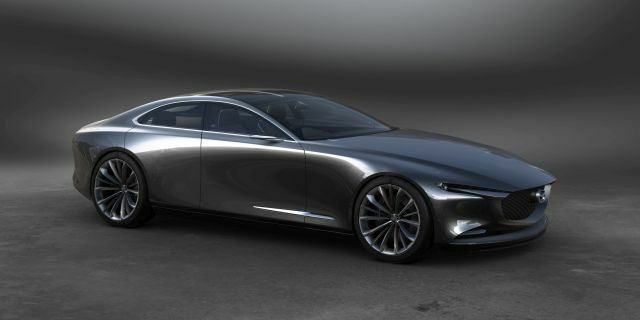 The VISION COUPE represents Mazda's design vision for next-generation models; a more mature expression of KODO applies a Japanese aesthetic to achieve more elegant and premium styling. The exterior features a "one motion" form that exudes a sense of speed and the interior combines three-dimensional depth with a strong longitudinal axis to create a relaxed space that maintains a sense of speed. In line with its "Sustainable Zoom-Zoom 2030" long-term vision for technology development, Mazda aims to use the fundamental appeal of the automobile – driving pleasure – to inspire people, enrich society and help bring about a beautiful earth. By offering an experience of car ownership that celebrates driving, the company hopes to enrich lives and build a strong bond with customers.